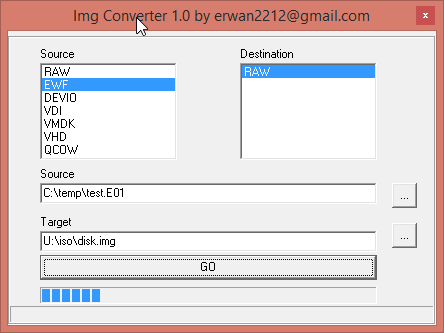 In this post, I shared a quick tool to convert VMDK files to RAW files. The interface was rather minimalist and limited. Here comes an updated version which can convert multiple files format (VMDK, VHDI, EWF, VDI) to RAW image disks.